Alfa Romeo’s culture of superior Italian craftsmanship and racing, it was only a matter of time until it culminated into the fastest SUV’s and 4-door sedan on the market. As with its namesake, the Stelvio challenges even the bravest of drivers. With Giulia, she can be seen as the elegance of Italy. Under the hood though, she’s all power, performance and unyielding in spirit. Let’s first take a look at 2018 Alfa Romeo Stelvio in Cincinnati. Stelvio Pass is filled with 9000 hairpin turns as the road winds its way down, a challenge for any driver. With superior craftsmanship and lessons learned from Alfa Romeo’s racing heritage, the Stelvio Quadrifoglio is a whole other vehicle. Combined with an all-aluminum, 2.9L, twin-turbo V6 engine, the 2018 Stelvio Quadrifoglio can reach a top speed of 177 mph making it the fastest SUV in the world. With increased speed comes greater security. The Stelvio Quadrifoglio can stop on a dime with an integrated braking system to help ensure an immediate braking response. Together with driver assistance technologies such as Lane Departure warning and Forward Collision Warning with Autonomous Emergency Brake, the 2018 Alfa Romeo Stelvio of Cincinnati is both a safe and exhilarating driving experience. What about the 2018 Alfa Romeo Giulia in Cincinnati? Looks can be deceiving. The exterior is covered with sleek and elegant lines that people associate with fine Italian design and Alfa Romeo. Under the hood is raw power and speed with the all-aluminum engine. With a top speed of 191 mph and a 0-60 time of 3.8 seconds, the 2018 Alfa Romeo Giulia Quadrifoglio is the fastest 4-door sedan on the market. To get it this fast, the vehicle is designed with high-strength steel in conjunction with weight-saving materials such as the aluminum fenders and doors and carbon fiber hood. If you are looking for a ride with a sleek and stylish exterior, racing-inspired cockpit, and the fastest on the market, look no further than the 2018 Alfa Romeo Stelvio in Cincinnati and the 2018 Alfa Romeo Giulia in Cincinnati. 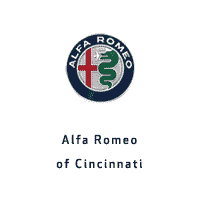 For more info, come visit us at Alfa Romeo in Cincinnati or visit us online at our website!